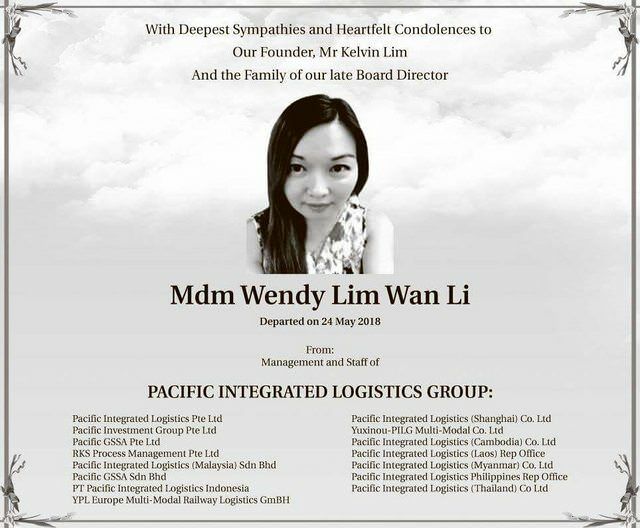 I saw the pictures circulating in the internet and realise that I know Wendy Lim and her husband. Ms Wendy Lim and her husband all actively supported MP David Ong in GE2015. Even if we forgive David Ong for the affair, we should not forgive him for wrecking a family. MPs of both Workers’ Party (WP) and PAP (People’s Action Party) have had affairs in the past. WP’s Yaw Shin Leong allegedly had an affair with a married Chinese national who had assisted him with translation work, while Michael Palmer’s affair was with Ms Laura Ong, constituency director of Pasir Ris West Constituency Office. Both men had affairs with women who were single. But David Ong had an affair with a married woman who is the mother of 3 children. He is a traitor who used his supporter’s trust to take advantage of his wife. I am not sure if the husband pleaded with David Ong to end his relationship with Wendy Lim and let his wife go, but it is not unbelievable that he did so before going to the media about the affair. David Ong is a Christian and I am surprised that he can do this kind of despicable thing with a married woman with children. How can the PAP field such a heartless candidate? David Ong is a wolf in sheep’s clothing. How are Singaporeans to trust any candidate the PAP fields in the future? David Ong’s Grassroots Work Began in the Late 1990s. Although David Ong was first elected an MP for Jurong GRC (Bukit Batok) in GE2011 and then for Bukit Batok SMC in GE2015, his grassroots work went back to the late 1990s. We’re talking about over a decade of time and effort dedicated to making other people’s lives better. He was active as a grassroot leader in Kreta Ayer. He was then chairman of the Citizens Consultative Committee in Jalan Besar GRC’s Kreta Ayer-Kim Seng ward. Did you know he was part of the team who organised the annual River Hongbao Festival? He continued to involve himself in this when he became MP. We understand that he was also involved in the Lantern Festival programme. Deputy Prime Minister Tharman, who used to work with Ong under the Jurong GRC, shared that Ong worked extremely hard for Bukit Batok. In the Bukit Batok ward, Ong introduced programmes to help needy families with groceries, provide job and healthcare support, and give a fresh start to individuals with repeated problems. In Parliament, Ong had spoken up for the elderly in his speeches, ranging from issues on retirement age and Central Provident Fund (CPF) policy. Residents Say He’s a Good MP. Ong also helped another resident, Arul Raja, a manager at a heavy equipment manufacturing company, with his daughter’ school transport arrangement. Chinese evening daily, Wanbao, headlined this news today, and carried three full pages of reports and updates on the story. Here’s one part of it. For the Chinese readers, the articles carried interviews with Bukit Batok residents and also grassroots volunteers who had worked with Ong before. Most of the Bukit Batok residents that the media spoke to have very positive impression of Ong. Almost everyone talked about how friendly and helpful he was, and how often he could be seen visiting residents and the estates. Many said he was a very good and conscientious MP who did his best for the residents, and they were sad to see him go. Latest update is that Wendy has passed away, if the obituary is to be believed....from breast cancer.